Gymnastics Academy of Rockford near Winnebago Offer Educational Gymnastics Classes for Children! Does your child love to tumble around their Loves Park, Illinois area house, jumping and overall staying active? Children love to play, so why not encourage activity by allowing them to enroll in one of the educational gymnastics classes at Gymnastics Academy of Rockford? Located near Winnebago, Illinois, this safe gymnastics facility offers an expansive selection of top-quality gymnastics classes for your child to participate in. Through these classes, they’ll learn a variety of skills they can use in and out of the gym environment. Even your very little ones can enjoy a few gymnastics classes of their own! Gymnastics Academy of Rockford is happy to offer preschool age gymnastics programs to those in the Rockton, Illinois area and beyond. These classes –located in a separate gym from the older children-- will help your little one develop some of their most basic skills and start leading them towards a more active lifestyle. These preschool age gymnastics programs are designed with your child in mind. Also known as Gymnastics Academy of Rockford’s Little Stars Program, this success oriented program is designed to help children feel good about themselves. It is also one of the most progressive and innovative programs for infants, toddlers, preschool, and kindergarten children today! For additional support, these great classes are taught in a separate gym from the older children who are learning more advanced skills. Since every child is different, this program helps improve their individual physical awareness, strength, balance, and coordination. Not only will they learn how to improve their gymnastics skills at an early age, but they will also learn “how to learn”, improving their classroom skills with the self-confidence they have gained at this safe gymnastics facility. closer to the Rockton area? If so, you’ll be happy to know that this safe gymnastics facility offers many of the same great classes your children have come to love at their Gymnastics Academy North location. Here, your child can participate in trampoline, tumbling, combination, and a variety of other educational gymnastics classes. For those in the Loves Park area, you’ll be happy to know that Gymnastics Academy of Rockford has opened their Gymnastics Academy South Trampoline Park! Even if your child is enrolled in one of Gymnastics Academy of Rockford’s educational gymnastics classes, they still need a way to keep active even when they’re not at the gym. Keep your children active at their Winnebago, Illinois or Loves Park, Illinois home this season with a new play set from Backyard Adventures of Northern Illinois outside the Gymnastic Academy of Rockford! These wooden play sets offer swing set accessories, rock walls, rope ladders, and so much more to keep your child active at their Rockton, Illinois home! From preschool age gymnastics programs to quality play equipment, there are numerous ways to keep your child moving towards a healthier, more active lifestyle. 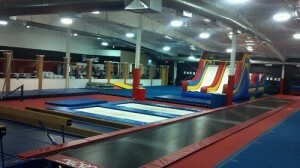 For more information, visit www.onefungym.com or call one of their physical locations today! Find Affordable Dance Classes for Your Child at Gymnastics Academy of Rockford near Roscoe! Does your child love to be active? Are they always moving to a song on the radio? If your little one loves to dance and play, consider encouraging them to enroll in an affordable dance class at Gymnastics Academy of Rockford. Their Resilience Dance Company offers a variety of fun dance classes for your child, from classic routines to more contemporary moves! Of course, Gymnastics Academy of Rockford offers more than dance classes for your child in Winnebago County, Illinois. Some of their most popular classes are their recreational gymnastics classes. These classes include a variety of traditional gymnastics forms in the comfort of their safe, professional facility. Other classes they are happy to provide include their Tae Kwon Do classes and their Resilience Dance Company! Gymnastics Academy of Rockford understands that not every child wants to participate in a gymnastics class, and that’s why they offer a wide range of affordable dance classes. These dance classes are fun and exciting, keeping your child active as well as entertained! You can keep your child active all year ‘round outside of the gym with a discount wooden play set from Backyard Adventures of Northern Illinois! Located inside Gymnastics Academy of Rockford, Backyard Adventures offers a wide range of quality play sets and swing sets that your child will be sure to love! Made from quality wood and other durable components, these play sets are as beautiful as they are functional. They’re also customizable! Whatever you choose for your child –discount wooden play set or otherwise— they’re bound to have a good time in Northern Illinois! With the assistance of Gymnastics Academy of Rockford, you can help your child channel their energy into dance or gymnastics! Gymnastics Academy of Rockford offers a wide scale of recreational gymnastics classes for your child to participate in at their main branch as well as their Roscoe, Illinois location. Don’t forget, Gymnastics Academy of Rockford also offers affordable dance classes for almost every age group! If you’re from the Winnebago County, Illinois area and are looking to enroll your child in a top rated gymnastics class, Gymnastics Academy of Rockford is the place to go! 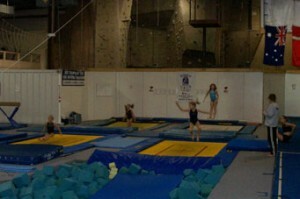 For more information, visit www.onefungym.com or call one of their physical locations today. Contact Gymnastics Academy of Rockford for Affordable Kids Gymnastics Classes. Does your child have high-energy? Do they lack focus in class? If you have a child in need of something fun to do this fall, contact Gymnastics Academy of Rockford(GAR) or Gymnastics Academy North! These quality locations in the Roscoe, Illinois area are designed with your child’s safety in mind. As of August 1st, you can enroll your child in their affordable gymnastics classes, dance programs, and more! Each one of these classes will teach your child a new way to be active and have fun in and out of their Rochelle, Illinois home! Aside from their regular gymnastics classes, GAR also has combination gymnastics classes. At GAR, your child also has the option to participate in one of their Tae Kwon Do classes. These classes promote focus as well as give your child a way to burn off some left over energy! If you’re from the Winnebago County, Illinois area and your child is ready to try something new, contact Gymnastics Academy to Rockford or Gymnastics Academy North. Don’t forget about the combination gymnastics classes! This class combines trampoline and tumbling for hours of fun! These classes will not only teach your child these great gymnastics skills, but they’ll also help them build self confidence to do better in school and life! Tae Kwon Do is another great option for children in Rockford or Roscoe to participate in this fall. These classes teach self-discipline and socialization skills! Many parents with children who suffer from attention-deficit/hyperactivity disorder (ADHD) have seen these programs help their children concentrate and demonstrate self-control. Whether your child is interested in the Tae Kwon Do classes or another fun gymnastic class at Gymnastics Academy of Rockford There are so many ways for your child to stay active at Gymnastics Academy of Rockford in Winnebago County, Illinois. From affordable gymnastics classes to Tae Kwon Do classes, your child will be able to choose the class that best suits them at this spacious facility. You can also find the same great classes at their other location: Gymnastics Academy North. They even offer combination gymnastics classes! If you’re from the Rockford, Illinois or Rochelle, Illinois area and find your child ready to try something new, contact Gymnastics Academy of Rockford. For more information regarding fall enrollment starting August 1st, visit www.onefungym.com or call one of their physical locations today! The weather is getting warmer and your little ones are becoming more active. If you’re not enrolling them in one of Gymnastics Academy of Rockford’s amazing classes, visit their outdoor showroom filled with numerous products from Backyard Adventures! There are many fine things you can discover for your child at this Rockford, Illinois location that will bring hours of outdoor enjoyment to them at your Caledonia, Illinois residence and beyond! When it comes to safe play equipment for your child, Backyard Adventures sells only the highest quality products to supply the reassurance that you want as a parent purchasing such a product. Their Vuly Trampolines are rated the safest around, and their quality basketball goals from Goalsetter are perfect for keeping your child active in the safety of your own backyard just as a specialty play set can! Now is the perfect time to purchase a specialty play set for your child, especially as many are now getting their tax refund checks! Though it may seem like a large investment, a custom designed play set from Backyard Adventures is made of solid wood construction that is meant to last for many years, including the ability to expand and allow the wooden play set to grow with your child through the addition of play equipment and even levels! Play sets of this construction are also known to add value to your home if you plan to resell later on, but most importantly they make for a great way for your child to have fun in their own backyards. Backyard Adventures specializes in safe play equipment, knowing that your child’s safety is your number one priority as much as it is theirs. Vuly Trampolines are by far the safest trampolines available on the market today, but what makes them safer than other trampolines? Allowing your child the ability to bounce and enjoy their time outside without worry about falling or hurting themselves as they may with basic trampolines sold through other retailers is just one way to let them express themselves and stay active. Whether your child is in elementary school or developing into a teenager, a quality basketball goal from Goalsetter makes for the perfect outdoor gift as well. For these great products and more, visit Backyard Adventures outdoor showroom in Rockford in Winnebago County at Gymnastic Academy of Rockford where you can try out the equipment before purchasing it for your Caledonia residence! Help your little one live a more active lifestyle in the good outdoors with the help of Gymnastic Academy of Rockford and Backyard Adventures at their Rockford, Illinois location. Their top quality specialty play sets are customizable in both size and accessories, making it near impossible to find any two play sets that are identical to one another in every way! Other great products for your Caledonia, Illinois residence in Winnebago County, Illinois are a Vuly Trampoline or a quality basketball goal by Goalsetter. When it comes to safe play equipment, Backyard Adventures offers you only the best! For more information, visit our new outdoor showroom or call 815.654.9769 today! Gymnastics Academy of Rockford Offers Daily Gymnastic Camp and More to those in the Roscoe area! Is your child interested in recreational gymnastics? Do they love being able to spend the summer with other children who share the same interests as they do? For fun ways to keep your child active in the Rockford, Illinois or Winnebago, Illinois areas this summer, consider registering them for one of Gymnastic Academy of Rockford’s camp programs! Gymnastics Academy of Rockford and Gymnastics Academy Northin Roscoe, Illinois are happy to offer their School’s Out Camps for your child. From daily to weekly, they’re sure to have the program that meets your child’s desires! Each camp is packed with challenging activities that allow for your child to remain active and entertained all day long! GAR camps are an alternative to traditional child care, and are so much fun! From summer gymnastic classes to their gymnastics summer camp programs, Gymnastics Academy of Rockford is sure to have the program your child wants to be a part of this summer! Little Stars Program- One of the most progressive and innovative programs available today for infants, toddlers, preschool and kindergarten children. Available in varying stages for children ages 3 months to 5 years of age. Girls Gymnastics – A success-oriented program designed to develop the individual, as well as the gymnast. Available in varying stages for ages 6 and older. Boys Gymnastics – A sport enhancement program geared towards providing the students with the essential to prepare themselves for the challenges of more advanced levels in trampoline and tumbling. Also gives them the necessary tools to succeed in other sports! Only available at the Roscoe location for ages 6 and older. Tumbling Programs– A fun alternative to the traditional apparatus style of gymnastics for girls and boys that remains on the floor. Cheerleading Classes – These classes focus on developing the body positions, voice usage, jumping, motions, and stunting. Although they offer a variety of gymnastics classes for your child in the Rockford and Winnebago areas, they also offer a variety of fun gymnastics summer camp programs. These summer adventure camps are available at both Gymnastics Academy of Rockford and Gymnastics Academy North and include fun activities such as swimming, tennis, camp games, theme weeks, and special guests! Your child will also have the chance to enjoy fabulous excursion field trips, hip-hop and karate lessons, and make new friendships! If you’re child wants to stay active and have fun this summer, Gymnastics Academy of Rockford is the place to go! Does your child love to socialize and stay active? If so, they’re sure to enjoy the amazing programs made available to them at Gymnastics Academy of Rockford! Located in Rockford, Illinois, this quality gymnastics facility is happy to offer recreational gymnastics and competitive gymnastics classes for your child this summer! Not only do they offer summer gymnastics classes, but they also offer gymnastic summer camp programs your child will love as well! If you’re from the Winnebago, Illinois or Roscoe, Illinois area and are looking for fun activities for your child to enjoy over the summer, Gymnastics Academy of Rockford can help! For more information, contact one of their locations today! Gymnastics Academy of Rockford Offers a Variety of Children’s Gymnastics in Winnebago County, Illinois! Gymnastics Academy of Rockford in Winnebago County, Illinois offers a multitude of children’s gymnastics classes so your little one will be able to learn all the skills it takes to become a top-rated athlete! However, did you know that there is more to this company in Rockford, Illinois as well as Roscoe, Illinois than just gymnastics? There are so many amazing things going on at Gymnastics Academy of Rockford that it’s hard to decide where to start. Here you can get your home schooled child the fun physical education program they need as well as enjoy a getaway for parents with their Parent’s Night Out event almost every Saturday. Whether you’re child is just learning to walk, just trying to finish out their home schooling, or you just need a night away, Gymnastics Academy of Rockford is the location to go! Do you live in Winnebago County and have a child who is looking for a creative way to burn off some of that pent up energy? Gymnastics Academy of Rockford offers a variety of children’s gymnastics classes for children of all ages and genders. For those under the age of 6 years, consider enrolling them in one of the preschool classes, available for ages as young as those who have just learned to walk. For ages 6 years and older, there are also other options available, including a range of boys gymnastics, where your child can learn how to tumble, use a trampoline, and even join one of the competitive gymnastic teams if they work hard enough! Cheerleading, dance, and even Tae Kwon Do are offered by highly trained, professional staff to ensure your child gets the best education in these areas. Even if you’re looking for a fun physical education program for your home schooled child between the ages of 5 years and 17 years, Gymnastics Academy of Rockford has the classes that will work for them. Sometimes being a parent can be hard, and so Gymnastics Academy of Rockford offers parents in the Rockford, Illinois or Roscoe, Illinois areas the option to get away and enjoy themselves for a night. Though a getaway for parents is not always possible, a night away from the children to go out and enjoy a dinner and a movie like they used to is something special. For this reason and more, Gymnastics Academy of Rockford hosts a Parent’s Night Out where your child, ages 4 years and older, will be treated to healthy snacks, open gym time, games, and more! To participate in this event, just give Gymnastics Academy of Rockford or Gymnastics Academy North a call, where you can even arrange for a birthday party celebration for your child where they can play in the gym or on some of the amazing equipment from Backyard Adventures eligible for purchase. With such an amazing assortment of things available to you and your child, why go anywhere else? Though spring is almost upon us, physical activity until then is still important in a child’s life. Help keep your child active by enrolling them in one of the many children’s gymnastics courses available from Gymnastics Academy of Rockford in Winnebago County, Illinois. Whether your child is learning how to tumble and use a trampoline for children’s gymnastics or is just there as a fun physical activity program to complete their home school curriculum, they’re bound to have fun! Do you live in the Roscoe, Illinois or Rockford, Illinois area and are in need of a getaway for parents, without the children, even if just for a night? Gymnastics Academy of Rockford and Gymnastics Academy North offer Parent’s Night Out most Saturdays, allowing for you to let your child have a fun night out of the house and a fun night for you out of the house as well. To find out more about their many services, classes, and other programs available, visit their website at www.onefungym.com or contact one of their physical locations today!